We hear a lot about self-driving vehicles roaming the streets of Silicon Valley More than 34 entities with over 200 cars test their cars on public roads. Until the end of the year this will be close to 1,000 vehicles. But the real start will come early 2018, when Tesla is sending a software update to all cars equipped with its Autopilot Hardware Kit 2. Then we are talking tens of thousands of autonomous cars – in customer hands. But equally intensive are the efforts to develop self-driving trucks. At least five Silicon Valley entities are testing them, with the latest addition of Waymo. And there are also some pictures. 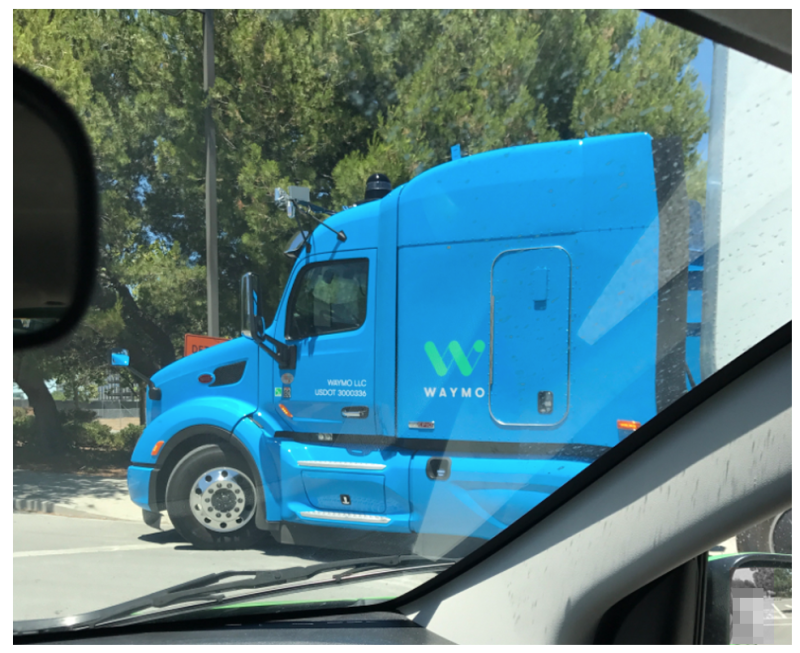 Techblog Jalopnik published the first pictures of Waymo’s truck. The Alphabet/Google-subsidiary is the clear leader in self-driving technology, not least with Waymo cars having autonomously driven 5 million kilometers (over 3 million miles) in city traffic. To apply that technology now onto trucks seems like the next logical step. The Mountain View-based startup Peloton Technology focuses on platooning, where several trucks are driving in a convoy, thus saving fuel. Otto, acquired by Uber for a mere 700 million dollars demonstrated in October 2016 with a first commercial ride how far the technology is. Since then there has been some kerfuffle in the company, not least triggered with the lawsuit filed by Waymo. Starsky Robotics, another startup based in San Francisco, delivered it’s first commercial freight drive. In February 2017 the first delivery was fulfilled over a distance of 120 miles (192 kilometers). And last not least NVIDIA, the currently hottest company in the microchip industry for autonomous vehicles, signed a partnership with Paccar, the maker of truck brands such as Kenworth, Peterbilt, and DAF. This Chinese startup with a permit to test self-driving cars in California just raised 55 million dollars in venture capital. 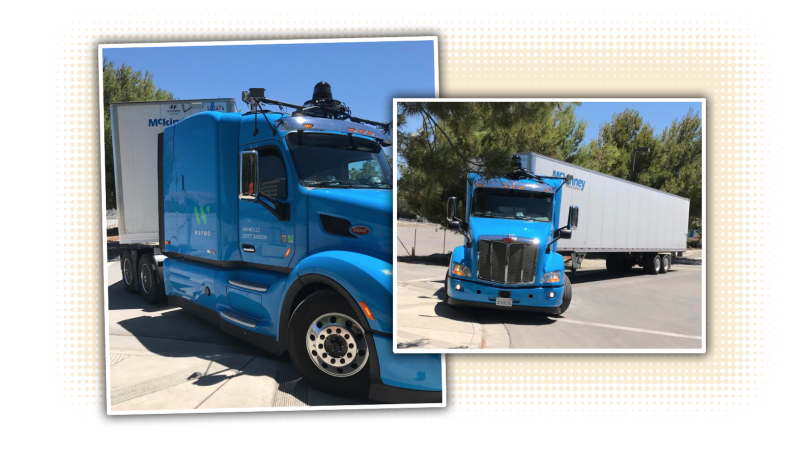 Embark has been testing self-driving trucks from El Paso to Long Beach since October 2017 by making commercial deliveries of refrigerators. Not everyone embraces those developments with open arms. Alone in Germany there are 500,000 truck drivers, in the US 3.3 million. And those jobs generate more, such as at rest stations. Also truck drivers contribute to about 35 percent of the trucking costs. Autonomous trucks would save that and don’t need breaks. They could barrel through the whole distance in one drive. Cargo trains would get obsolete, as those autonomous trucks also solve the last-mile-problem. And autonomous trucks driving in platoons can save on fuel costs. Alone a quarter of today’s annual fuel costs per truck of 80,000 Euro could be saved.